Zagers Pool & Spa Has Many Grills to Choose From! Outdoor cooking like a pro! 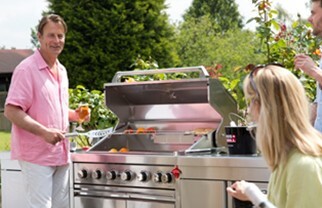 Great grills offer features that make cooking easy and fun, with completely delicious results. From smoking to grilling, searing to slow-cooking, these grills can do it all. Built to last with quality materials that keep up with whatever you throw at them – or on them! From the versatility of the Big Green Egg®, to the stainless steel construction of Swiss Grill, Zagers' experts help you take outdoor cooking to the next level! Contact us for more information or stop by any of Zagers' 5 West Michigan locations. 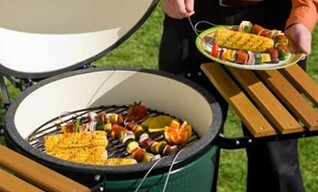 The most versatile and effective outdoor cooker ever designed! Great for smoking, grilling, roasting, baking, and barbecuing all kinds of meats, veggies and more. Style and sophistication with professional performance and stainless steel construction to last. After you browse our selection above, stop in to any of Zagers 5 Locations in West Michigan. Check out the grills in person, compare models, learn about features and get grilling today!